I'm sure everyone who has played a large modpack has had to pop open the F3 screen once and got met with a massive wall of text on either side. Frame times, debugging, particle counts, and a bunch of distracting information that's covering the screen, and that frankly, you don't really care about. The solution - No Debug 5 You allows you to prevent mods from rendering text on the F3 screen! 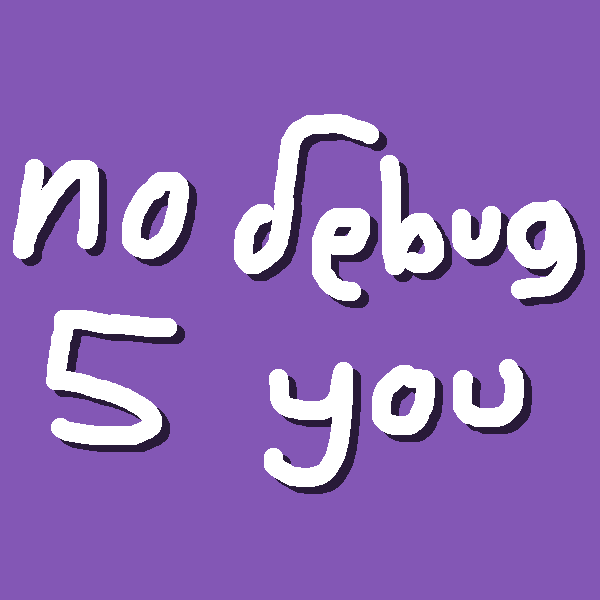 No Debug 5 You attempts to provide an out-of-the-box experience. The default options catch most of the common mods. Just install and go. ND5U is also a client side only mod. You do not need to install this mod on the server to use it. It will work on multiplayer servers. If there is still extra debug information left over that ND5U didn't catch, enable dump mode in the config, and watch your game logs for information about what classes are adding F3 info. Copy their names into the config file. Or, just turn on ALL mode to nuke all modded F3 debug rendering. Smh dude, why not just ask modders for a config option instead of making this? Oh my god, this is exactly what I've been looking for! Thanks! I can finally remove Botania's debug screen additions. Any way you could allow for disabling F3 wholesale to thwart those nefarious "cheaters" checking light levels and such? You may want to consider /gamerule reducedDebugInfo. If you host a server, you can just enable it there; you can use a mod like World Primer to set it if you're making a modpack.